Are you a hiring manager or business owner looking for ideas to help you prepare interview questions to ask? ….. Or perhaps you’re attending an interview – and you want to start preparing yourself for possible questions that you could be asked and how you might respond. The type of questions that should be asked of applicants at a job interview depends upon the requirements of the position. Usually in a large organisation, there will be formal position descriptions listing the job duties – from which are derived the position selection criteria that determine the focus of the interview. Smaller businesses and organisations may not have this, but it is still important to define and document the requirements of the position and the type of skills, experience, qualifications and personal qualities needed to effectively perform the duties of the role (although recognising that some training will likely be required in your procedures and systems). Here are three sample capabilities that are relevant to many types of jobs – and examples of questions that might be asked …. Describe a time when you had to make a decision within a tight time-frame ….. What steps did you take to ensure the decision was appropriate? …….. In hindsight, would you have done anything differently? Can you tell me about a time when you have had responsibility for researching and resolving a complex issue at work? ……. What steps did you take to ensure a thorough analysis of the issue and that your proposed solution was the best one? Describe a complicated problem you have had to deal with on your job. …. How did you identify or gain a better understanding of that problem? ….. And how did you arrive at a solution? Tell me about your experience working in teams and ways in what ways you have contributed to effective teamwork in the past? If we were to contact people you had worked with in the past, how would they describe you? What have you done in your current role to help build co-operative relationships with your co-workers? Tell me about a time recently where you did more than was necessary to keep a customer happy? What have you done to ensure that you provide the best service you can to your customers? Give me an example recently where you were dealing with an upset or difficult customer who had a complaint – how did you go about dealing with the situation? Tell me how you go about organising a typical day at work? What methods or strategies have you used to plan and organise your work? Tell me about a major task or project you worked on recently, and how you went about organising it? Tell me about a time when you fell behind on a deadline – how did you handle the situation? Can you tell me about a problem you solved that had a significant impact on the business or the operation. Can you tell me about a time when you have researched and been responsible for ensuring a complex issue at work was resolved? ……. What steps did you take to ensure the issue was analysed and that your proposed solution was the most appropriate one? Describe a time when you had to make a decision within a tight timeframe ….. What steps did you take to ensure the decision was appropriate? …….. In hindsight, would you have done anything differently? Tell me about a good decision you made recently. Describe the process you went through in making the decision and why you consider it to be a good decision? Can you tell us about a project you were working on that showed signs of not going according to plan. …. How did you deal with this situation and what did you learn from it? Think of a time when a customer or co-worker came to see you with a problem. What steps did you take to attempt to resolve their problem? ….. How did you assess the success of the solution? 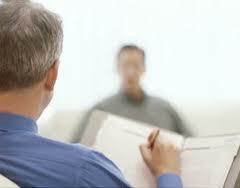 Designing and asking the right interview questions is important ….. But just as important is that that you listen carefully to the response of the interviewee – noting not just what they say, but also being aware of their body language …. 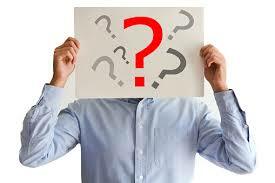 For example, do certain questions make them become uncomfortable, uneasy or hesitant. These areas could possibly be points of concern that you need to explore more deeply. One final point here about asking the right questions ……. If you are a hiring manager, so as to ensure your selection process is not discriminatory, all of the interview questions you ask of applicants must be relevant to assessing them against the job requirements. posted by Brian Carroll, the founder of Performance Development. Brian has a background in recruitment – he trains and coaches managers in how to prepare and conduct interviews.